A modern, 1 bedroom condo is now available to rent at The Room Sukhumvit 79 Condo, centrally located in a quiet soi just 5 minutes’ walk (330 metres) from BTS On Nut. This a popular low rise condo built in 2007 by Land & House offers easy access to great local amenities including Tesco Lotus, Big C Center, Habito Japanese Mall, Sukhumvit Hospital and several international schools including St Andrews, Wells and Bangkok Prep International Schools. Situated on a mid floor of The Room Sukhumvit 79, this well presented 1 bedroom unit of 38 sq.m provides a comfortable layout for city living. 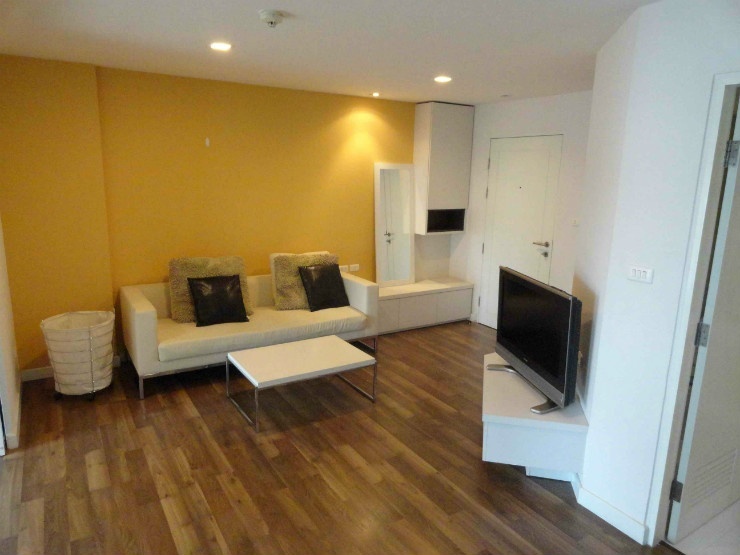 Well furnished, this 1 bedroom unit includes LED TV, separate kitchen with washing machine and utility balcony. There are wooden floors throughout.